What a blast! 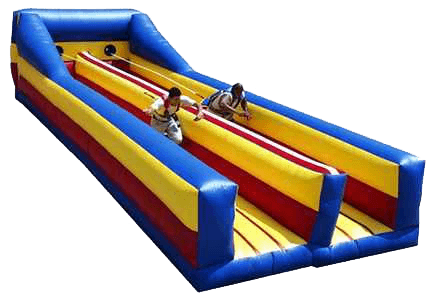 This bungee run interactive will be the talk of the town at your next party or event! It is designed for head-to-head challenges between two participants. Each person straps on a padded bungee vest and a long bungee cord. The goal is to run and bounce to the end of the lane first, with the resistance of the bungee cord adding even more of a challenge. Who will make it to the end first?